Lately, you’ve no doubt noticed more articles related to Google’s algorithm and its application to mobile friendly websites. 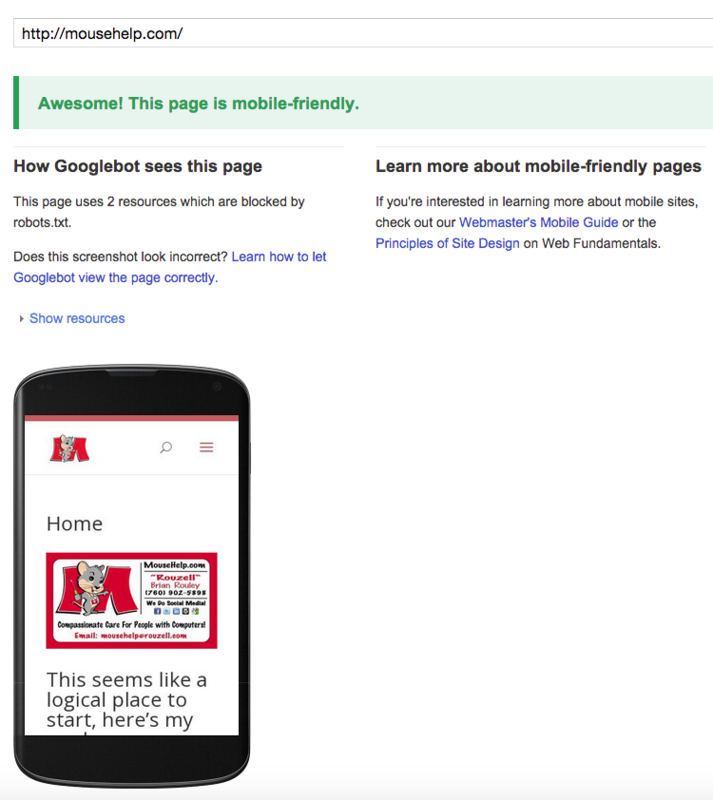 If not, the short story is this: “mobile friendly websites will get better results.” Well, that should not be news to you. There’s more to say about this, but you can find it in so many places by now, I’m not going to beat on it here. If you need help with getting your site in line with what works on Google, Call me, find me, follow me, subscribe to my blog, circle me in G+, or, just call me. Yes, I said it twice! Email works, too.